The below artworks are the most important by Tristan Tzara - that both overview the major creative periods, and highlight the greatest achievements by the artist. Artwork description & Analysis: Tzara co-founded Dada in Zurich. The Manifestos he wrote from 1916, including this one regarding "unpretention," all outlined the principles of the movement as well as its raison d'etre. "Art needs an operation." - with these uncompromising words Tzara set forth his philosophy that Art with a capital A was pretentious and that traditional artists were self-absorbed hypocrites. He called for something he called "Dada's magic revolver" to put "Art" (any work of creativity) to sleep (really, put aside) so that a new world that emphasized life and the living could be born. The Dada movement initiated a militant anti-art revolution. As Tzara explained: "Get ready for the action of the geyser of our blood-submarine formation of trans chromatic aeroplanes, cellular metals numbered in the flight of images above the rules of the hand." This Unpretentious Proclamation, released a few years into the movement, not only outlines its precepts but also indicates its visual idiom. The typeface, a corrupted version of standard Victorian print, was purposefully chosen. Tzara co-opted typefaces from advertisements and newspapers and changed the font, orientation, and boldness in an effort to articulate his ideas. This text indicates the inherent contradiction of the Dada position: making art while simultaneously denying it. Artwork description & Analysis: This bulletin illustrates Tzara's "cut-up" style wherein pieces and morsels of previously printed material were gathered and juxtaposed in what seems a random manner, coming together to form an artwork as if by accident. As he specifically recommended for poems: "Take a newspaper. Take a pair of scissors. Choose an article as long as you are planning to make your poem. Cut out the article. Then cut out each of the words that make up this article and put them in a bag. Shake it gently. Then take out the scraps one after another in the order in which they left the bag. Copy conscientiously. The poem will be like you. And here you are a writer, infinitely original and endowed with a sensibility that is charming beyond the understanding of the vulgar." This same technique was recommended for visual material and it can be seen in this Bulletin where syntax and imagery are arranged in an unconventional manner. Tzara explained "Every page should explode, either because of its profundity, or because of its vortex, vertigo, newness, timelessness, crushing humor, enthusiasm of its principles, or the way it is printed." Here text is arranged in bits and bursts on the page, some running left to right but other surprisingly running up on an angle or tipped to the side. There's no clear margin and no formal arrangement into paragraphs, instead lines wrap around in an almost random fashion. The illustrative material is squeezed into the space that remains in an almost coincidental fashion. Tzara's efforts in these works of typographic collage share a lot with those of other Dada artists including Janco. The concept of collecting items or bits or words and arranging them on the page so that the viewer is forced to find meaning was consonant among all the artists active in this movement. Artwork description & Analysis: This missive, primarily instigated by Tzara, outlined the goals of the Dadaglobe project as well as clearly presenting its stylistic idiom. The Dadaglobe intended to further promote the international nature of the movement and serve as a cross-cultural guidebook to the future of art. It was an encyclopedia that included self-portraits, photomontages, collages, drawings, poems, and book designs from artists across the world including the former combatant states of Germany and France. To insure its international availability he planned to publish in French, German, and English. Tzara worked on the project from 1920-21, collating material received from a range of artists including Hans Arp, Andre Breton, Max Ernst, Hannah Hoch, and Sophie Taeuber-Arp, before abandoning it. The letter illustrated, signed by Francis Picabia, Tristan Tzara, Georges Ribemont-Dessaignes, and Walter Serner on November 8, 1920, called on artists from all over the globe to submit writings and artworks demonstrating the global expansion of Dada. Almost one hundred years later, on the 100th anniversary of Dada's founding, the Kunsthaus Zürich brought the Dadaglobe artworks and writings together for the first time and completed Tzara's original project with the publication of Dadaglobe Reconstructed. Artwork description & Analysis: The simplified forms and bright palette of this work reflect the artist's attraction to "primitive art," and in particular - African art. In his Dada 'Note 6 On African Art' (1917) he wrote of his fascination for this civilization, which he saw as more real, more pure: "My other brother is an innocent; he is good and laughs; he eats in Africa and in the bracelet of the Oceanic Islands." To Tzara the earliest human societies, free of social rules and conventions, were innately more authentic than the Western one from which he hailed. He found Aboriginal, African, and Maori poems in the Zurich university library and performed them, sometimes in their original language and sometimes translated, at soirées nègres at the Cabaret Voltaire. He collected African art throughout his life and would eventually be considered a specialist, at one point working as a consultant on the subject for such esteemed clients as Peggy Guggenheim. His passion for Africa never waned and in the last year of his life he travelled there to attend a Congress on African Art. Artwork description & Analysis: On July 6, 1923, the theatrical performance - The Bearded Heart, written and directed by Tzara, was performed at the Theatre Michel. He called it "a hoax" as it was deliberately provocative and illogical, intended to subvert a normal theatre experience. An audience coming to sit quietly and watch a play, something recognizable with a beginning, and ending and some kind of normal sense of story development, would be in for a major surprise. The performance, attended by Breton, Aragon, Soupault, Éluard, and Ribemont-Dessaignes, included nonsensical dialogue between a Mouth, Ear, Eye, Nose, Neck, and Eyebrow accompanied by bewildering ballet and music. 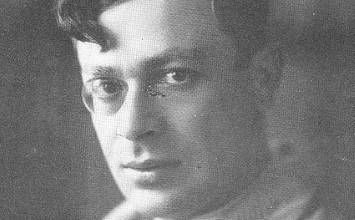 Tensions between Breton and Tzara had recently been raised and they had been attacking one another through the press. While Tzara claimed, "Any work of art that can be understood is the product of a journalist," Breton had countered with a press release calling Tzara an "imposter eager for fame." During the performance Breton became furious, jumping on stage waving his cane, hitting the performers, and allegedly breaking a performer's arm. The audience rioted and Tzara called the police. That night marked the split between Dada and Surrealism but relations eventually improved significantly and in 1930 Tzara directed a film titled The Bearded Heart featuring not only Louis Aragon and Paul Éluard, but Breton himself. Artwork description & Analysis: L'homme approximatif is truly the masterpiece of Surrealism. It proves that despite the ongoing argument with Breton over the scope, direction, and relationship of Surrealism to politics and art, Tzara continued to contribute to Surrealist activities and publications. In fact, Klee's drawing (the image here) picks up on the surreal aspect of Tzara's words directly, drawing an organic shape, abstract and dreamy in nature, to stand in place of the Approximate Man described by Tzara. The adoption of Surrealism by Tzara was not a surprise. From early on in his career he maintained hope for a future super-reality (surreality) where men would live in a state combining both waking life and the realm of dreams. The title poem of this book, L'homme approximatif, with its collection of vivid image bytes and dreamlike reality, explains how Tzara naturally segued from Dada to Surrealism. luminous number your head full of poetry." Artwork description & Analysis: Landscape is an example of a drawing produced during a Dada game known as Exquisite Corpse. It was the product of a game involving Tzara, Valentine Hugo, Andre Breton, and Tzara's wife, the Swedish poet Greta Knutson. The game was played as follows: Player 1 drew something, folded the paper and passed it on to Player 2, who added to the painting and passed it to yet another player. The final image was, accordingly, a collaborative work created by multiple artists that was not preconceived but instead, the result of allowing the unconscious to determine and conceive as it went along; each stage, each artist's hand, was inspired by the former and acted according to the moment. Automatism, an integral aspect of the game, generated the creative response of each artist as they received an image previously conceived by one of their friends. Although Breton pioneered its use, this technique was embraced by all, considered a perfect expression of Surrealist creation. Robert Motherwell, who became fascinated by Dada and automatism after Roberto Matta introduced him to the game in the 1940s, resurrected it and even held Exquisite Corpse evenings with other artists interested in the merits of unconscious artistic production, such as Jackson Pollock and Lee Krasner.